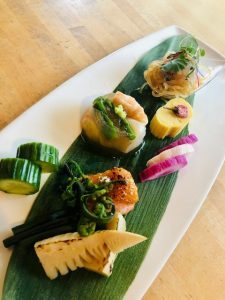 Sansei Seafood Restaurant & Sushi Bar in Kīhei will host a special dinner on Thursday, March 21, featuring a contemporary “Japanese pub-style” menu paired with sake and sake cocktails. The reception begins at 6 p.m. with dinner at 6:30 p.m. 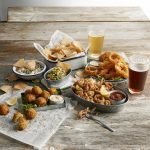 The event is limited to 40 guests. 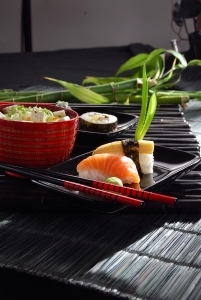 The price of $89 per person is all-inclusive – five courses, five sake, and five sake cocktail pairings, tax and gratuity. 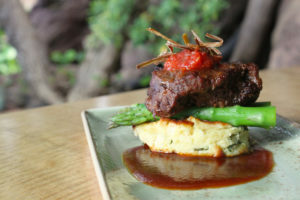 Please call 808-879-0004 for reservations. 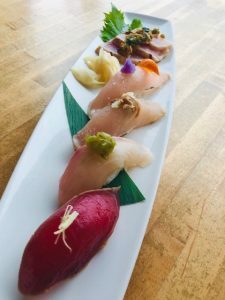 Sansei calls the combination of sake and Japanese cuisine a “match made in heaven,” saying in its purist form, sake can bring forth the savory “umami” magic that delights chefs and diners alike. 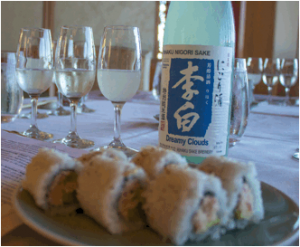 Local Fish Sashimi and Nigiri Sushi, on the menu for the Sansei Kīhei Sake Dinner on March 21. Courtesy photo. Sake Bottles at Sansei Kīhei. Courtesy photo. 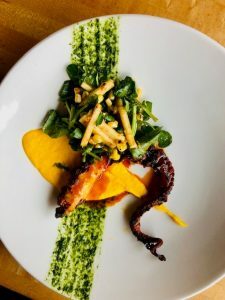 Gochujang Charred Spanish Octopus for the Sansei Kīhei Sake Dinner on March 21, 2019. Courtesy photo. 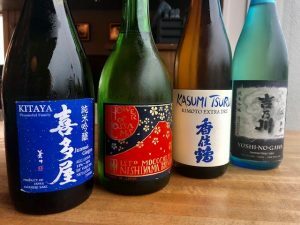 Sansei Kīhei’s Sake Dinner will feature Moriawase on March 21. Courtesy photo. 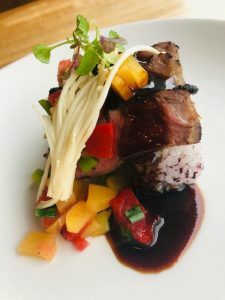 The Sansei Kīhei Sake Dinner will feature Koji-cured Nature’s Natural New York Steak. Courtesy photo. 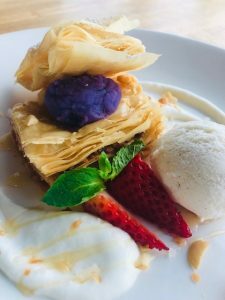 Sansei Kīhei Sake Dinner will end the night with Okinawan Sweet Potato Baklava à la Mode. Courtesy photo. The menu below was designed by Sansei Corporate Sushi Chef Masa Hattori and Sansei Kīhei Executive Chef Byung Jeoung, with sake selected by Dan Fullick, Key Account Manager & Sake Specialist, Southern Glazer’s Wine & Spirits of Hawai‘i and sake cocktails created by Chandra Lucariello, Director of Mixology & Spirits, Southern Glazer’s Wine & Spirits of Hawai‘i. 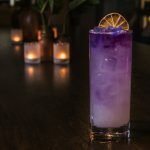 Kotsuzumi Showers of Blossoms Junmai Daiginjo, Gonzalez Byass Amontillado Sherry, Ho Farms local grape tomatoes, fresh lemon, cane syrup, sesame salt.